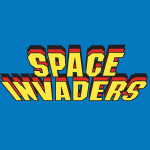 Welcome to the next to last part of my How to Make Space Invaders tutorial! In this part I’ll cover Sound Effects, Bullets, Making Objects Appear, OnTriggerEnter, SoundManager, Changing Scores, SpriteRenderer, Changing Sprites, Destroying Objects, and a bunch of tips on how to avoid mistakes. The Images & Sounds are here and all the code for the whole series follows after the video below.